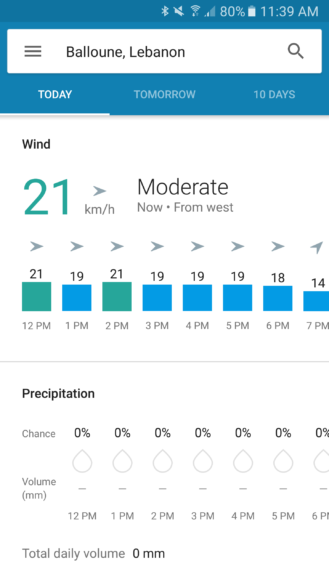 Google Now's new weather card was spotted at the beginning of January then officially announced later that month. Ever since, it has been going on and off when you tapped on the weather card or did any weather search inside Google Now, and mostly never made it onto the regular Google Search results inside the browser (mobile and desktop - think when you open Chrome and do a normal weather search there, not through the Google app). Long and tumultuous history aside, the modern weather card with the blue background, detailed forecasts, and funky frog, has gotten slightly better over the past month. We've been getting sparse tips about it showing Wind and Precipitation graphs, below the temperature graph in the Today and Tomorrow tabs. And now this has started showing up more consistently across our devices with v6.0 of the Google App and 6.1 Beta. 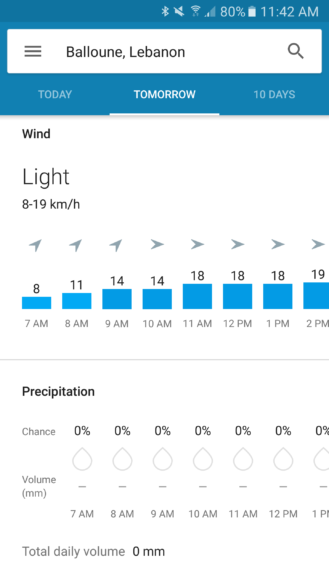 It might even be visible on older versions of the app. 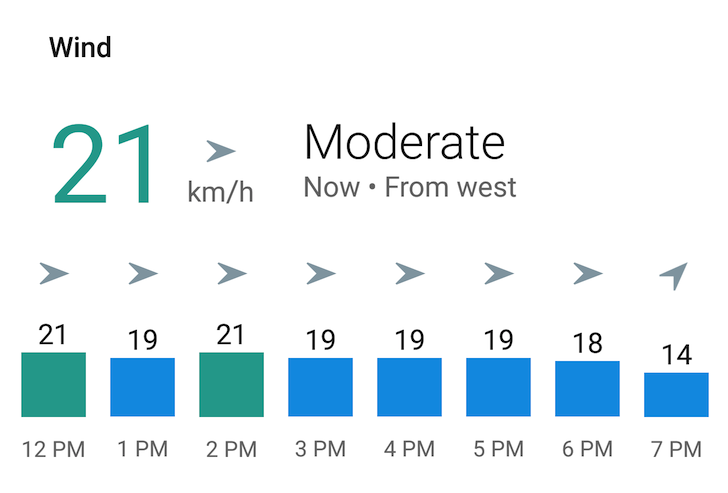 The graphs are divided hourly for today and tomorrow's weather and show detailed wind direction and speeds as well as chance of precipitation and expected volume of rain. As I said, these have been showing up for about a month maybe so you may have seen them before, but they're worth pointing out nonetheless because you might have missed them earlier.